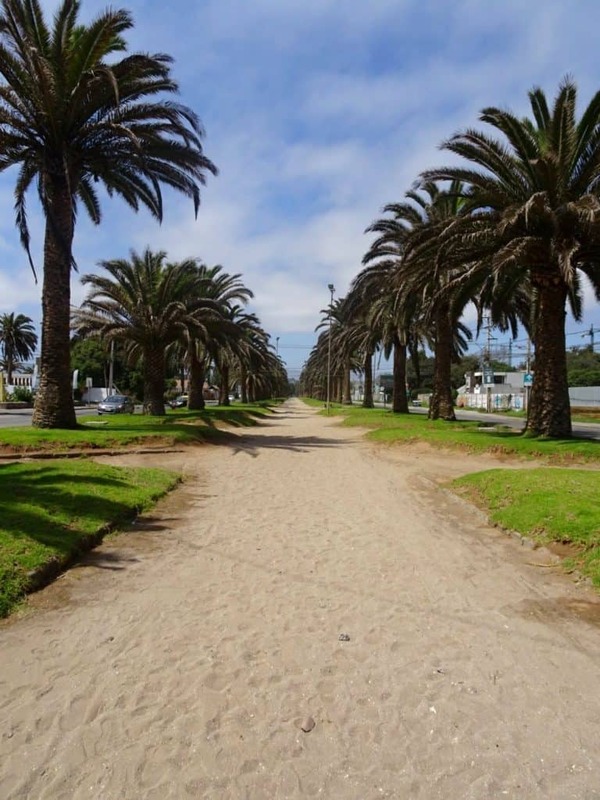 If you’re looking to spend some time in a cute little student’s town with a beautiful beach, look no further than La Serena. 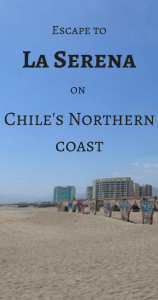 About six hours on the bus from Santiago, this coastal town in Northern Chile has it all: a beautiful beach, a lot of nice restaurants and cafes, and impressive day-trip destinations all around. I spent a great four days here while travelling along Chile’s coast and could easily have stayed longer. 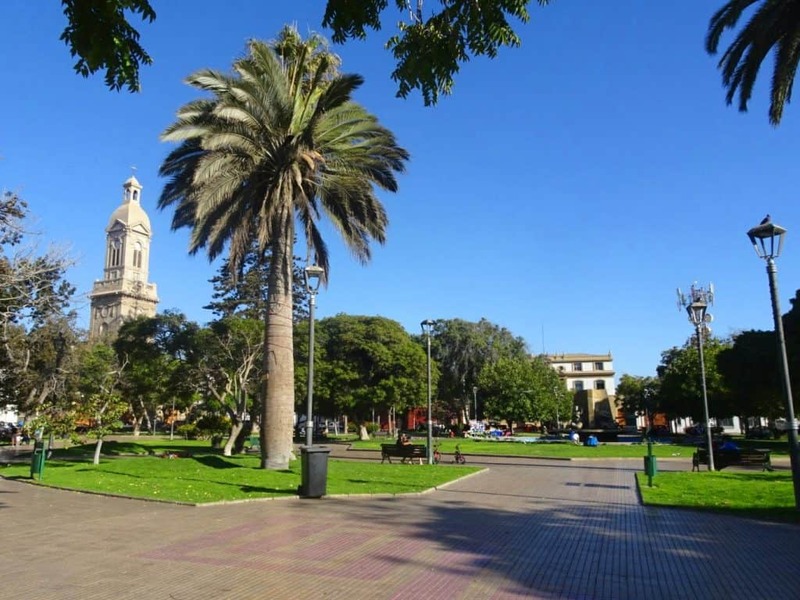 La Serena is a colonial town with about 200,000 people. It’s just the right size: there’s everything you need, but it’s still small enough to feel cozy. A lot of the population are students at La Serena University. Like most university towns, La Serena has a lot of reasonably priced restaurants, cafes and bars for the students (and tourists) to hang out. The University campus is also the best place for a panorama view of the city. 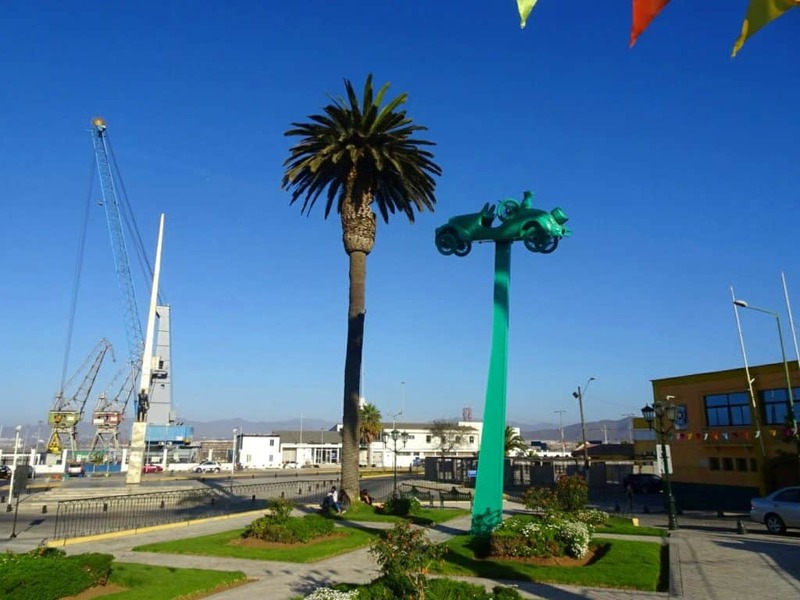 La Serena has been nicknamed „city of churches”, because of the many church towers dominating the skyline. A lot of these churches are absolutely adorable and well worth visiting. 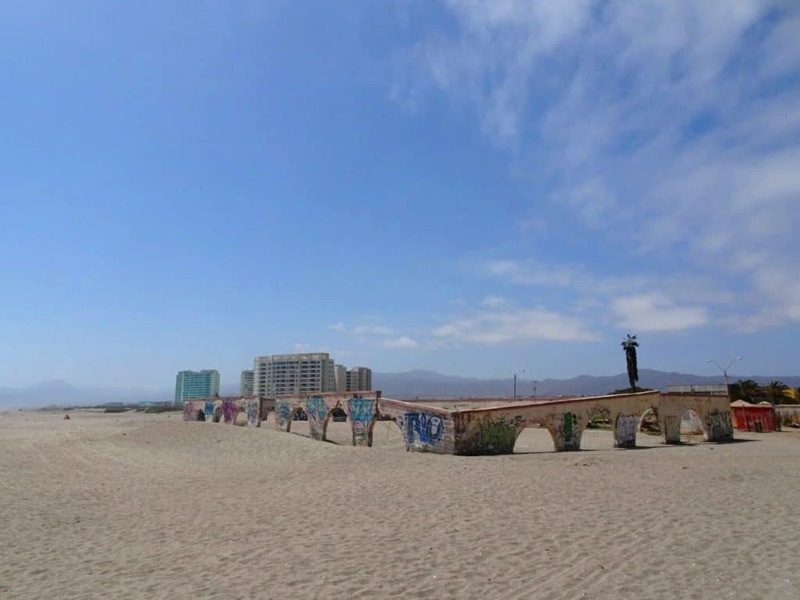 And, of course, there’s the beach of La Serena. White, wide and inviting, it’s exactly the kind of beach where you just want to spend the day hanging out or going for a relaxed walk. 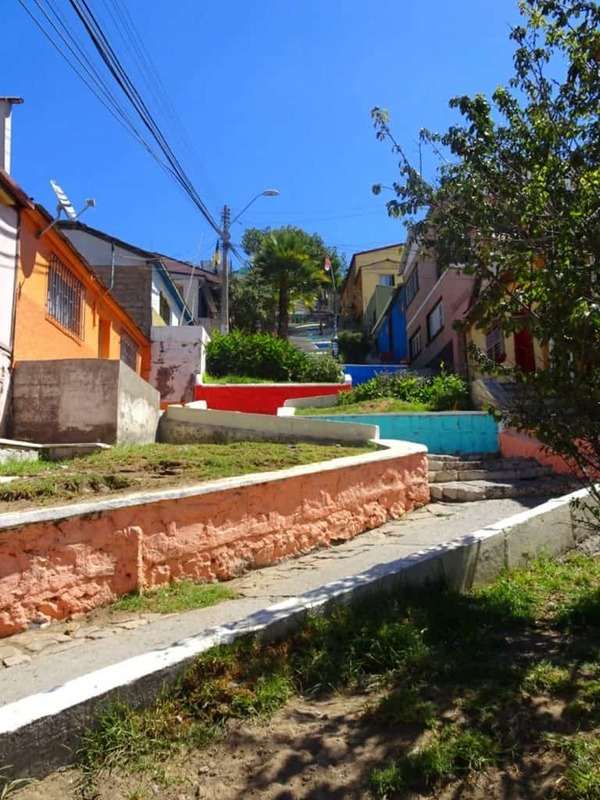 It continues all the way to La Serena’s neighbour town Coquimbo. If you have a couple of hours to spare, you can walk the 13 km there, accompanied only by the waves and the seagulls. Don’t worry – you can take the bus later to get back home. 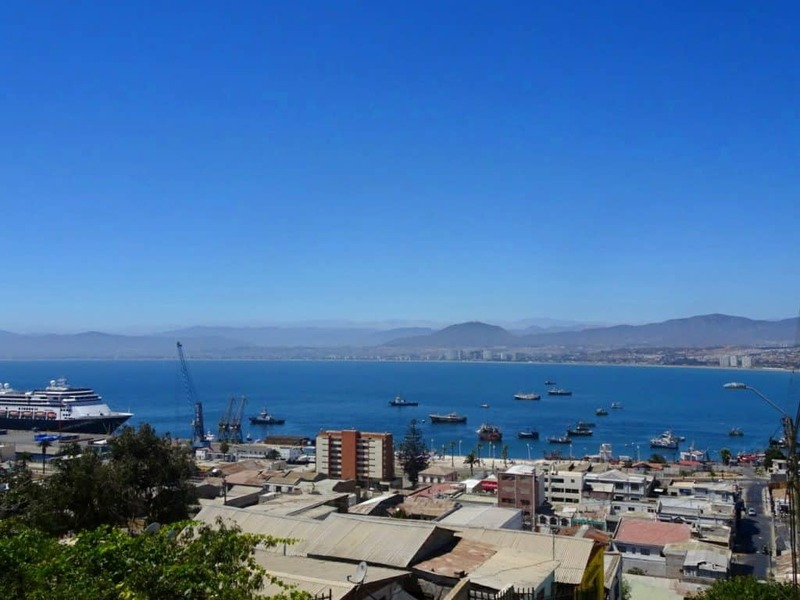 Coquimbo is the slightly larger sister town of La Serena. Whether it’s on foot along the beach or on the bus, you should definitely come here for a visit. 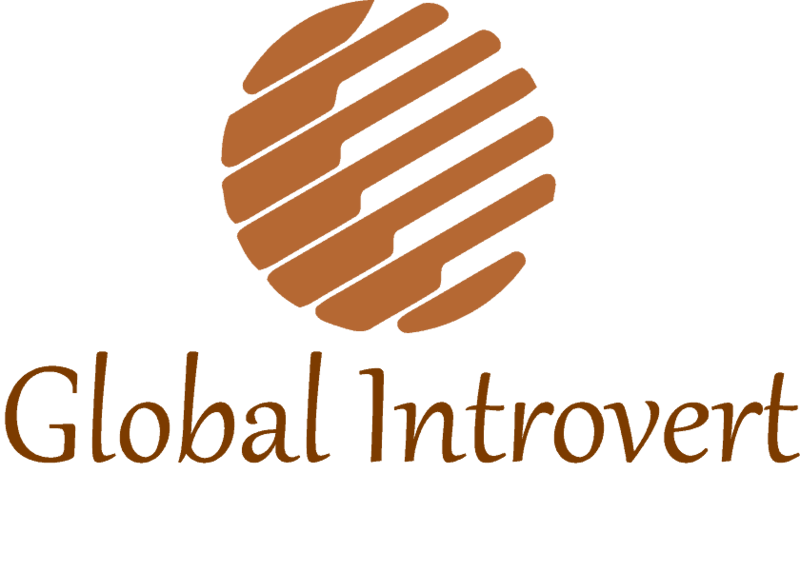 The most interesting places to see are the Barrio Ingles and the Plaza de Armas with some surprising art displays. The port is also nice. Most days there are markets going on here, where you can buy souvenirs and clothes as well as food and, in particular, fresh fish. For a beautiful view of the town, head up to the Third Millenium Cross. 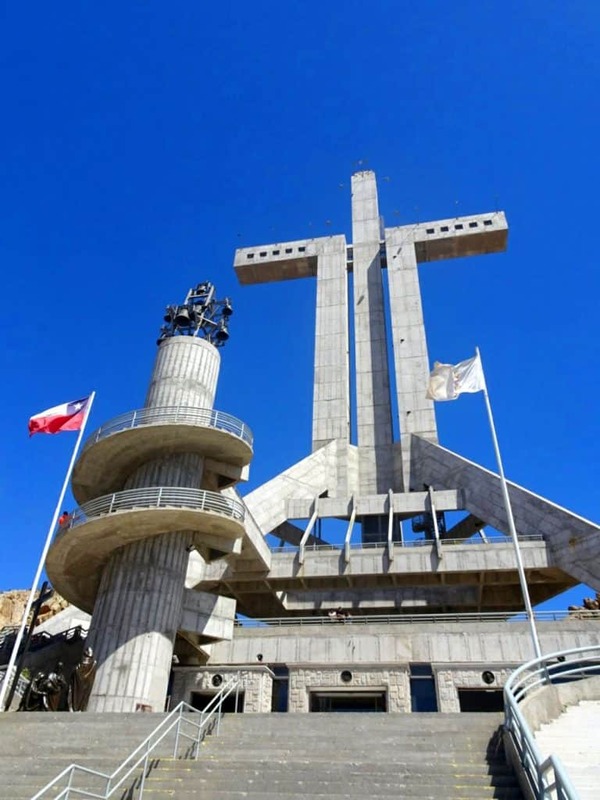 The giant cross sits on one of Coquimbo’s highest hills and overlooks the city. You can’t miss it. If you want to go all the way up inside it, you need to pay an entrance fee, but you already have good views from its base as well. 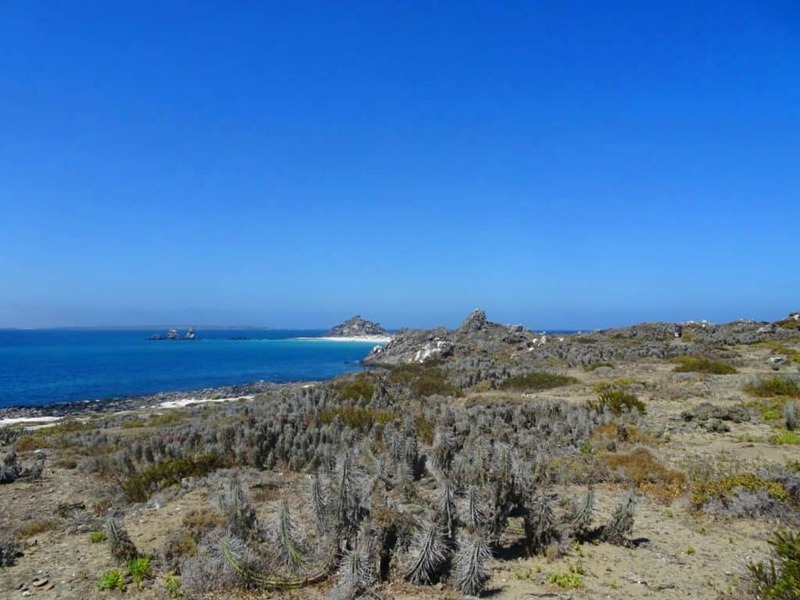 Another point of interest in Coquimbo are the lookout points on the coast. Come here for spectacular views of the cliffs and the ocean. 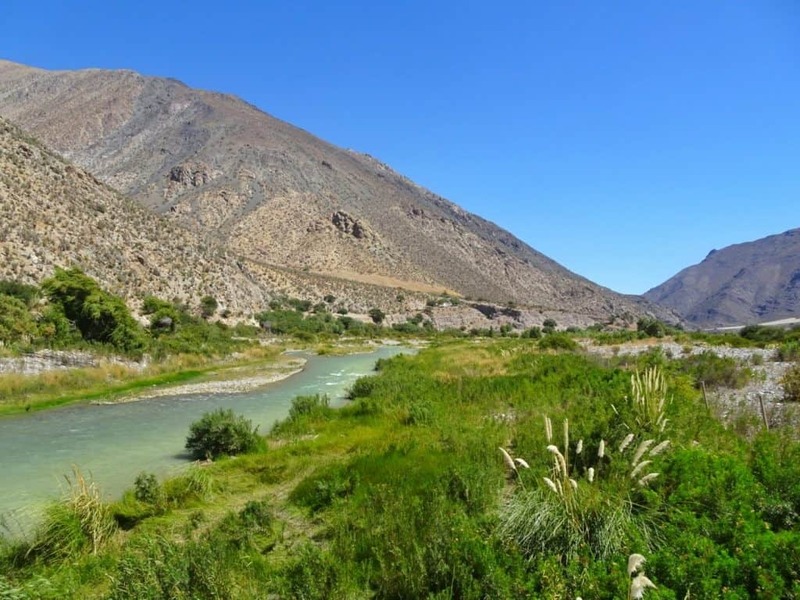 The Elqui Valley is regarded as the most spectacular tourist attraction in the La Serena area. You can go there on your own by public bus, but I opted to take an organized day trip. Which turned out to be a good decision, because we had a lot of different stops, some of them pretty much on the side of the road where there was no bus stop near and far, so unless I had gotten a car, it would have been hard to imitate this on my own. 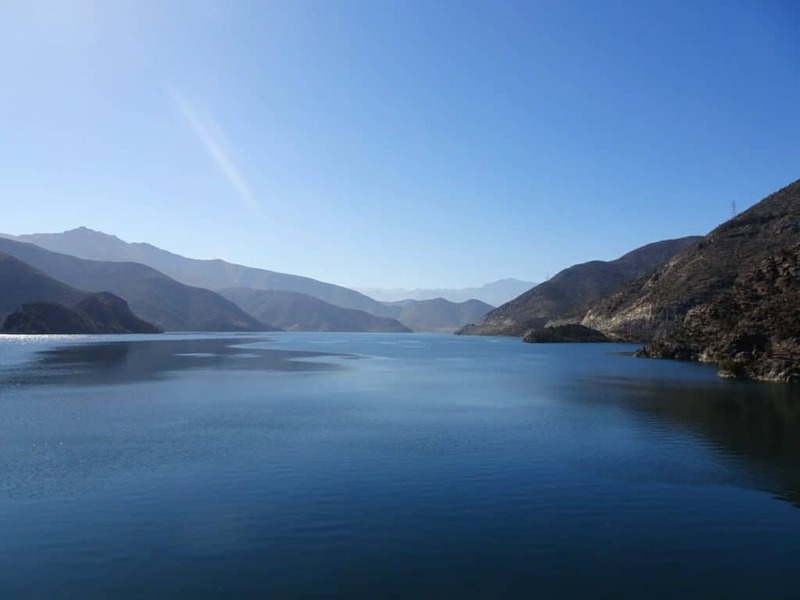 On the way to the valley, we had a first photo stop to take in the beautiful landscape we just drove through and the adjacent lake, before entering Elqui Valley itself. With this view to start the day, you just know it’s going to be good. Our first destination inside the Elqui Valley was the town of Vicuna and the Gabriela Mistral museum. The famous Chilean writer was born in this region and you find a lot of museums, statues and other sorts of memorials dedicated to her. Next up was a winery to take a look at some of the popular wines from this region. Unfortunately, it didn’t include a tasting. No reason to be too disappointed though, because right after that we headed to a local restaurant for lunch. Drinks were included, and yes, that extended to wine. They had a lot of the same kinds we’d just looked at, so we didn’t miss out on trying them after all. However, that was not the only mentionable thing about this lunch. 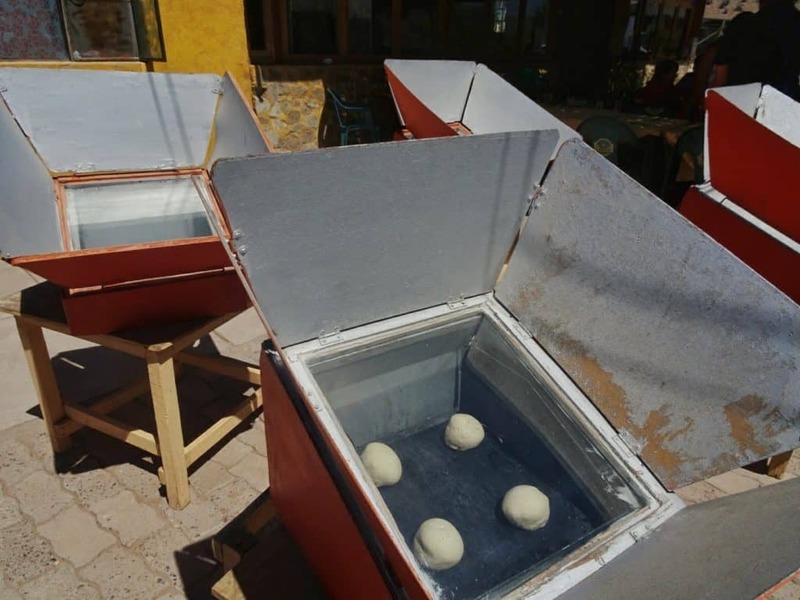 We ate at a restaurant that uses solar ovens to cook its food. In a region that for a long time hardly had any electricity, but gets loads of sunshine all year round, the invention of these ovens was a stroke of genius. 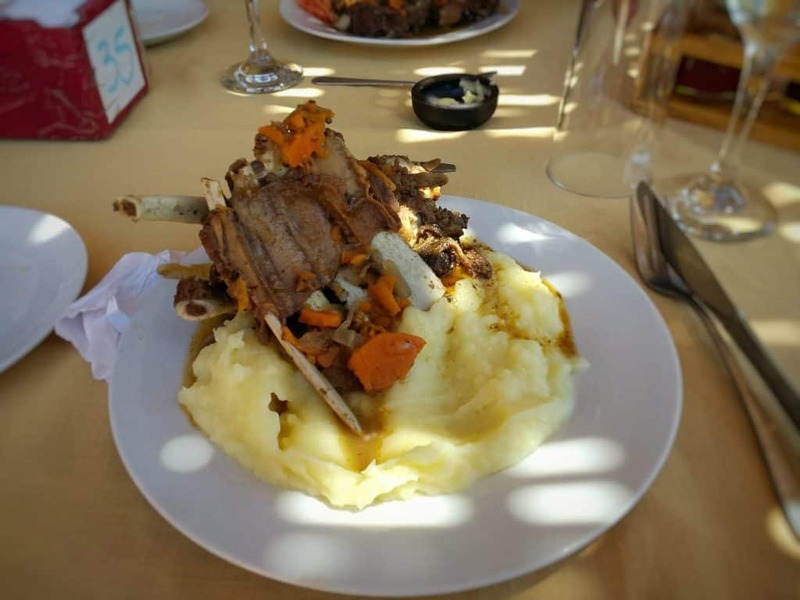 I went for a traditional meal with goat meat and it was absolutely delicious! After lunch, we changed from wine to beer by visiting a local brewery. 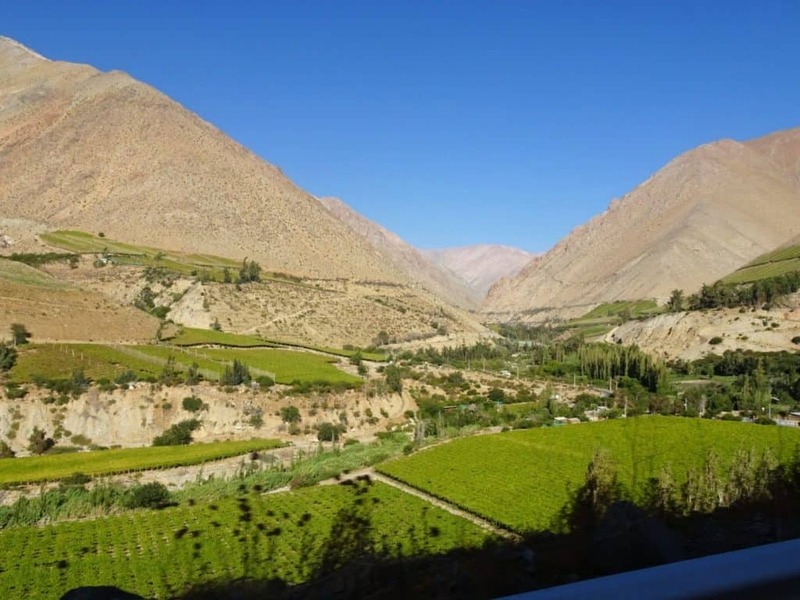 This was followed by a short walk down the river in the centre of Elqui Valley before moving on to learn about yet another alcoholic drink: Pisco. We visited a distillery where we were given a tour and then tried some of this Chilean national liqueur. 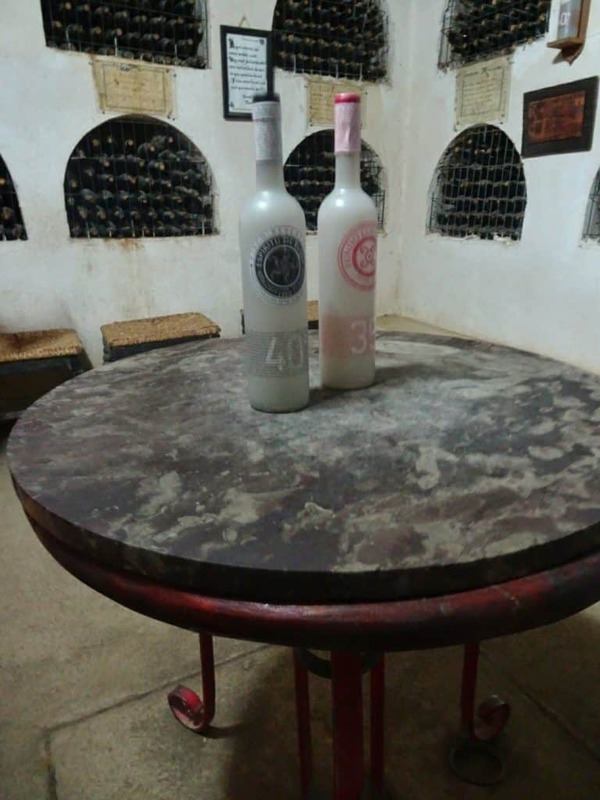 It was the first time I had it pure, and I must admit I prefer it in the form of Pisco Sour. 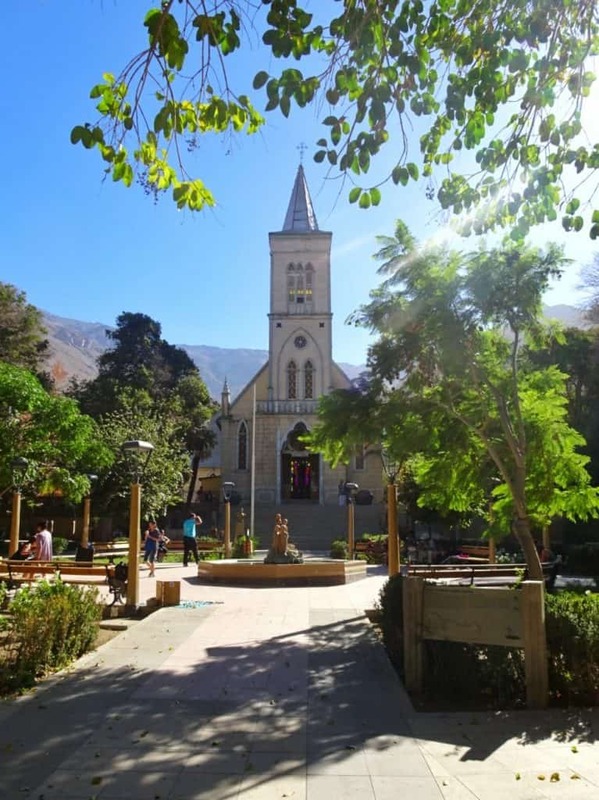 Last stop was the town of Pisco Elqui, where we got some free time to visit the church, walk over the market and have some ice-cream to conclude this great day. 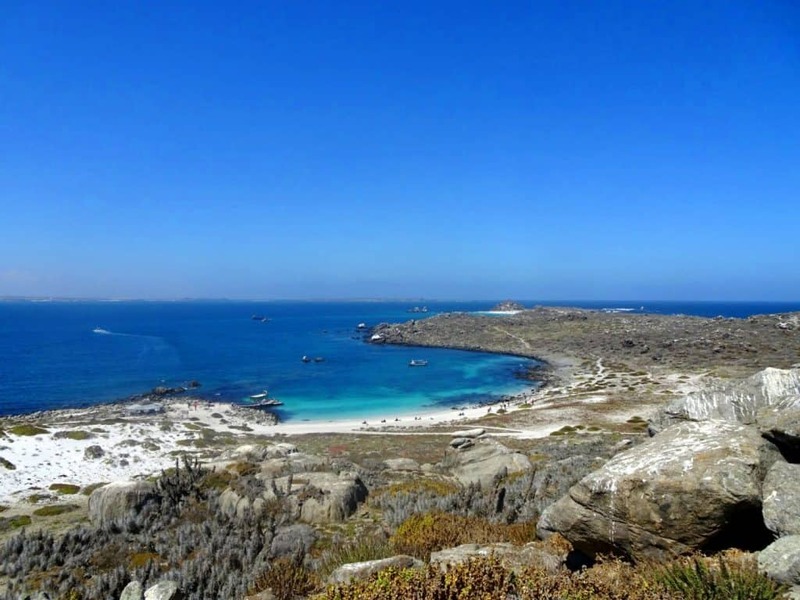 The other day trip I took from La Serena was to Isla Damas. This one was not an organized tour, as those were very expensive. Instead, I teamed up with one of my roommates and we headed up there on our own. There’s a bus from La Serena to Punta de Choros every morning at 9 am. If you’re planning to go on this bus, be there early. It gets full, and if all seats are taken you will have to spend the 2.5 hour-drive standing. The bus drops you off right at the harbour in Punta de Choros, where the boats to Isla Damas leave. You need to buy a boat ticket as well as an entry ticket for the National Park on the island. As soon as a boat is filled, it leaves. Unfortunately, in our case that took a bit of time, as everybody else from the bus had gotten on earlier boats and we had to wait for some individual tourists to show up. It resulted in slightly less time on the island, but we still got to see it all. 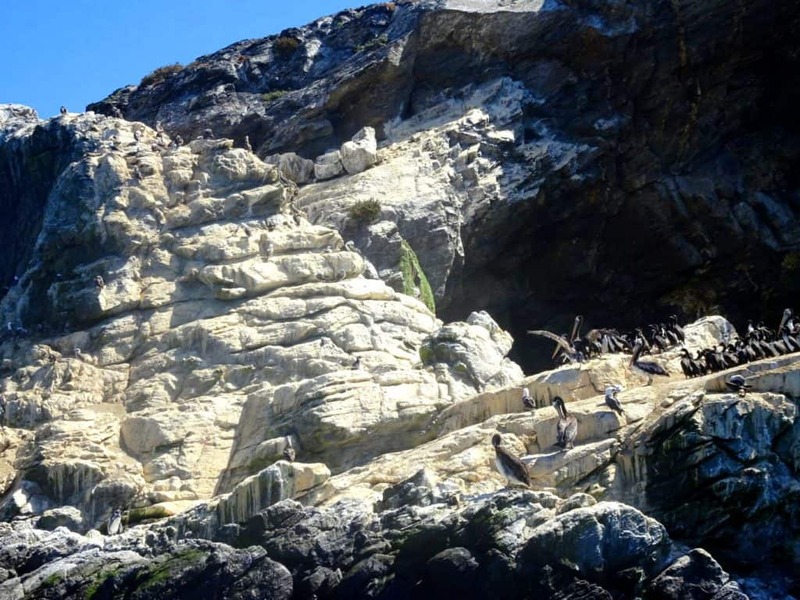 First, the boat takes you around on the water for a while, rounding the three islands that make up the Pingüino de Humboldt National Reserve: Chañaral, Damas, and Choros. 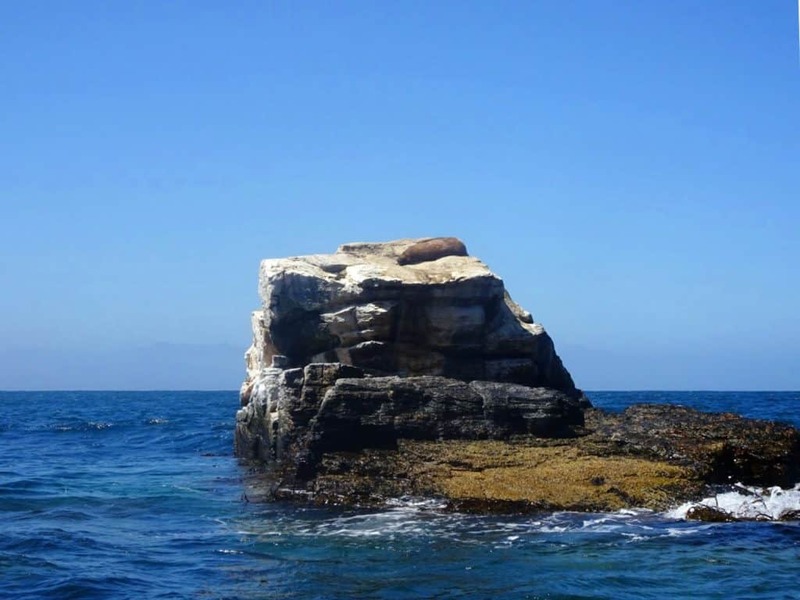 We mostly looked out for wildlife and soon spotted seals and the multitude of birds that have made their homes on these islands. 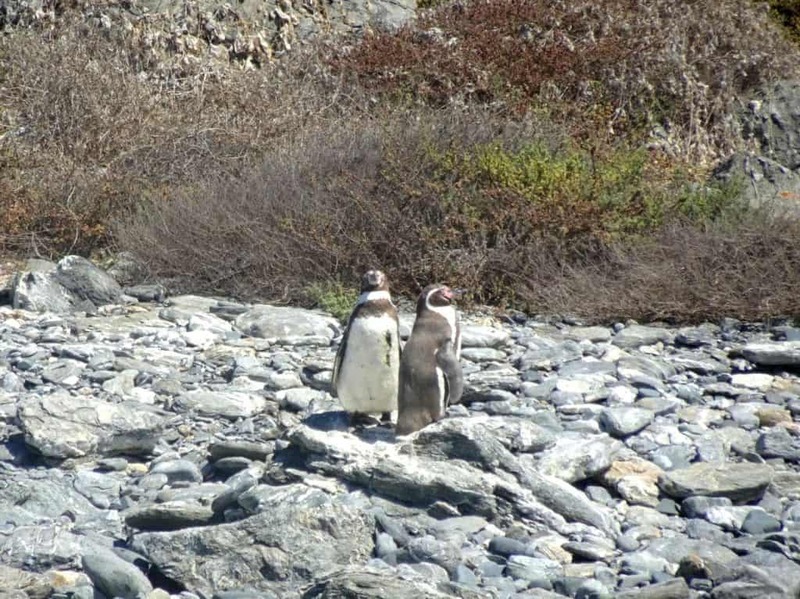 After some searching, we even discovered some adorable little penguins! Only the dolphins that supposedly live in these waters didn’t show themselves. After taking plenty of pictures from the boat despite the rough water and the ever-imminent fear of dropping my camera in the sea (it didn’t happen, thank God), we headed to Isla Damas itself where we got some free time to walk around and explore the National Park. There’s one path around the island that they tell you takes about 45 minutes. As we were a bit pressured for time, we managed to do it in 30. Of course, that meant we couldn’t really linger along the way to take in the scenery. It did mean, however, we still had ten minutes left afterward to head up to the lookout point before we needed to be back at the boat. Even in this limited time, the island was absolutely worth going to. 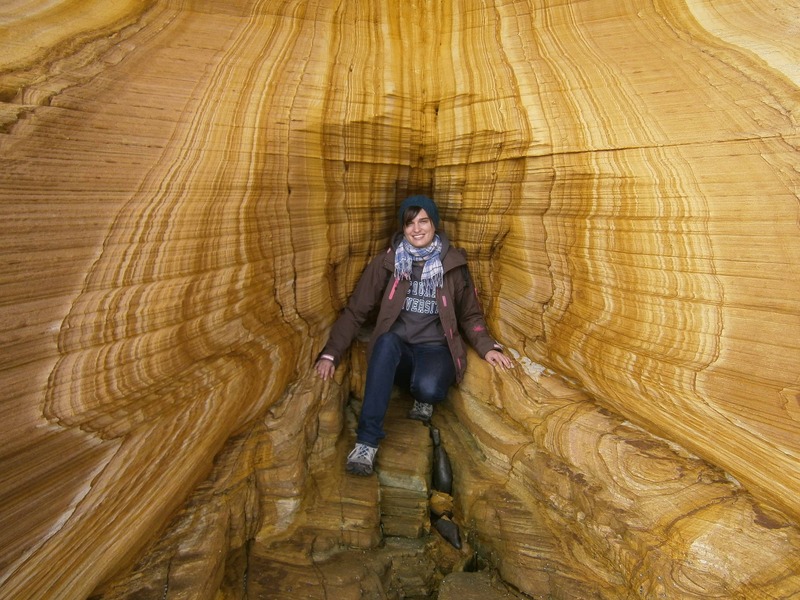 It’s stunning, in a very rough, wild kind of way. I certainly recommend it, and I would always do it individually again. All together we only paid about half of what an organized day trip would have cost, despite doing the exact same things. 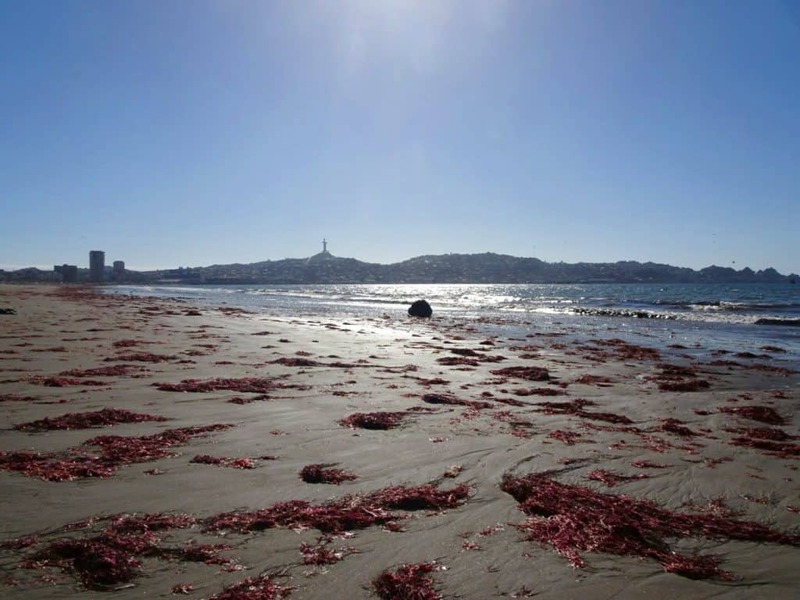 Have you been to La Serena? 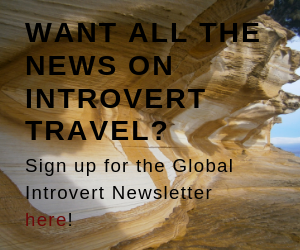 Do you have more tips on what’s worth visiting? Share in the comments!